Diamond Clear Balloons with pearl white 30. Pack of 5. 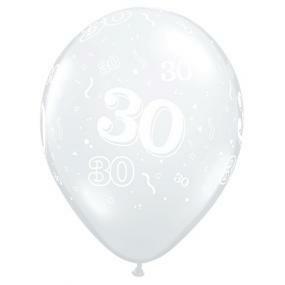 These high quality diamond clear balloons are ideal for Pearl Wedding Anniversaries. They measure 11" diameter when correctly inflated and they are suitable for helium filling. Good quality. Just what I ordered.